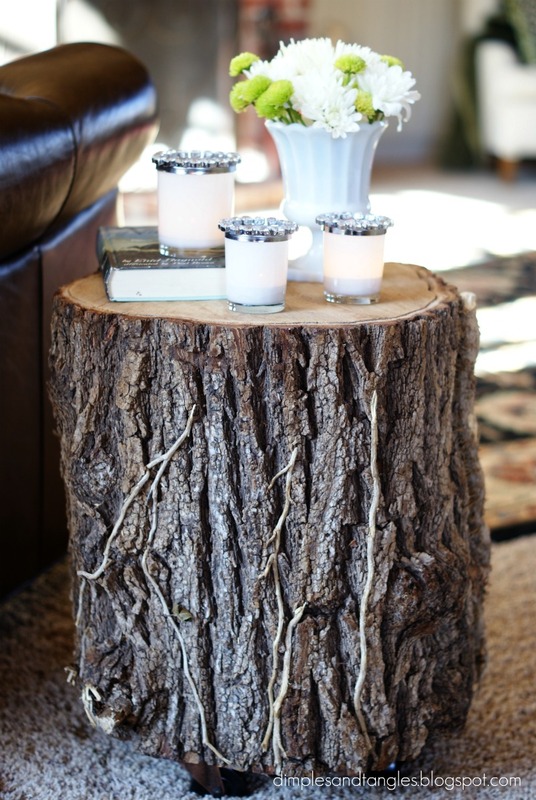 Did you know that nothing more than a tree stump can be an intersting and functional addition to your decor? This one sells for $199 at West Elm. Ahheeemmm! Yikes! 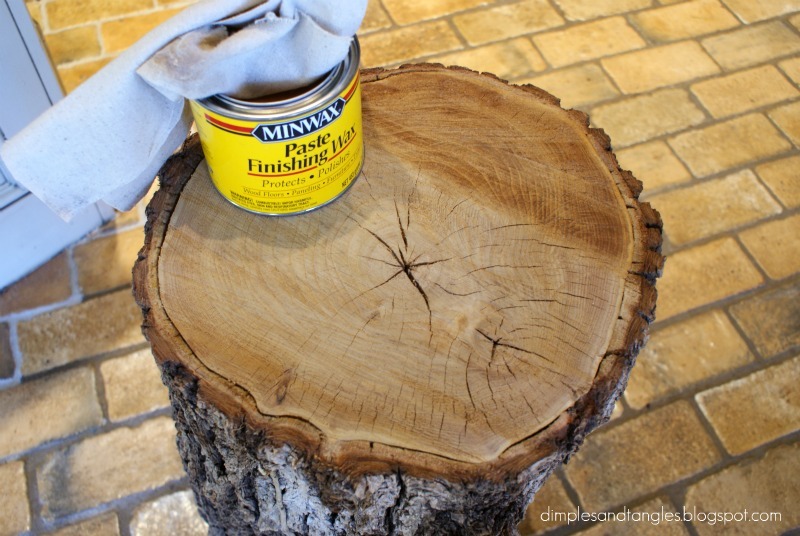 After originally seeing this stump side table that The Nester made, I was inspired to make my own. I kept an eye out curbside for stumps being thrown out, but I never saw anything that I wouldn't have to trim. So, we went to the wood lot where we buy our firewood and the guy was willing to let me look through the pile that hadn't been split yet. I chose 2 that were about the same size (about 15" tall). They had some vines and such growing on them but I sorta liked the character that added. Left them on for now. After bringing the stumps home we rinsed them off and sprayed them with bug spray and let them sit for a few days. Then, I washed them off again just because I didn't want any pesticide residue on them. I wanted casters on them to add a little height, but also these things are HEAVY! The rollers have been invaluable when I need to move them around for cleaning or whatever. I like the look of the bark left on, so all I did was sand the top a bit and rubbed 3 coats of paste wax on. I wanted it to repel water a bit in case a drink leaked on it or something. The darker portion in the picture is where I had just applied the wax, but as it dried the wood went back to the original color. I didn't treat the bark at all, so we'll just have to see how that turns out as it ages and dries out. I may strip it all off some day if it starts to fall off. These are so handy and are the perfect spot for the remote and a drink while watching tv. In a pinch they even work as extra seating. I'm not sure what we did without them! We paid the wood lot guy $5 for both stumps (I don't even think he wanted that much!) and the casters were about $6 for 2 at Home Depot. I think less than $30 was a great investment for this project! Oh my gosh! You know I love them and am SO jealous - great job!! 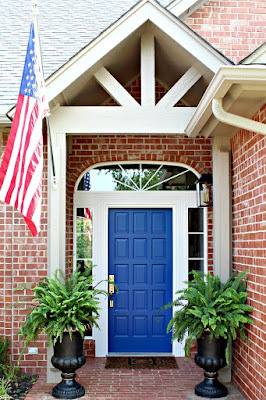 Oooo...I like this idea and we could so do it as we have som stumps in our backyard! Yes! Um....I love this! I'm having a baby boy in May, and what could be more perfect than a tree stump side table in the nursery? I'm even loving the ones that are painted white. Thank you for the inspiration! And I just about died at those baby pictures :). This is a really nice idea! Looks very chic and stylish, and brings nature into your home! Plus it's functional lol! This is great! I'll have to add it to my list of projects to try one day! 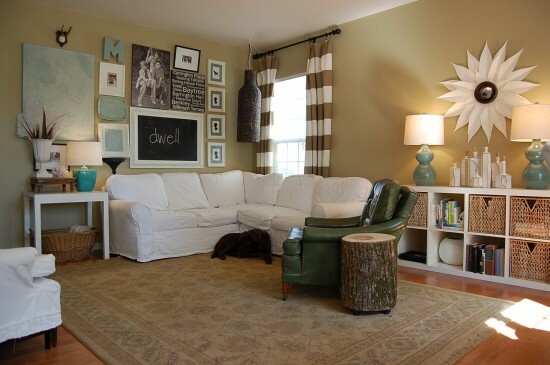 I like how it brings a nice rustic element to a room. I have been talking to the hubs about doing some for out living room! These look fabulously rustic, chic. LOVE. 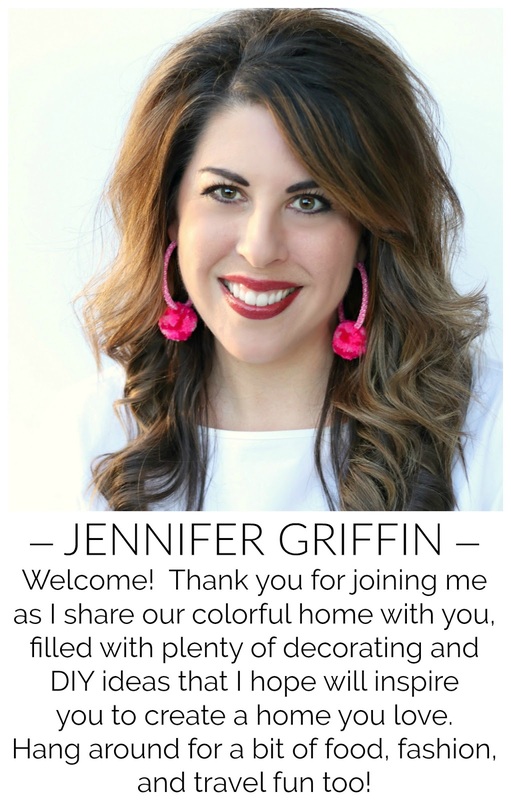 I would love for you to share at Find Your Craft Friday!!! So cool! I love your version, I think the vines or roots left on yours adds an extra touch of character. I'm so green with envy I can't hardly stand it!! BEAUTIFUL!!! Did you ever read this post about when I almost had one!?!? I'm totally looking more! Your trunk looks AWESOME! I have three of these sitting in my garage right now! (My sister is claiming one of them.) I first saw them in my parent's NC backyard this past summer where they had to cut down a tree. I couldn't fit them in my car so my Dad brought them all the way to OK this Christmas! Wasn't that sweet? Anyway, I haven't got around to doing anything with them yet but you've got me inspired! Thanks for sharing these great pics. I lost a big old elm this summer, so I might try to get some tables when I get it taken down. These are so fun, and love them every way, but the painted ones are my favorites!! Found you thru Revi and I'm glad I did! Great job on these- I've wanted to do one and have finally found a proper piece of wood. Congrats on your award from Revi and hope you'll come visit me. I'm following you- fun stuff here! well, you sure showed west elm what they can do with their stumps! brilliant! I have been wanting to do this for a while & my hubby thinks I'm crazy.....I need to show him this! Great job!! 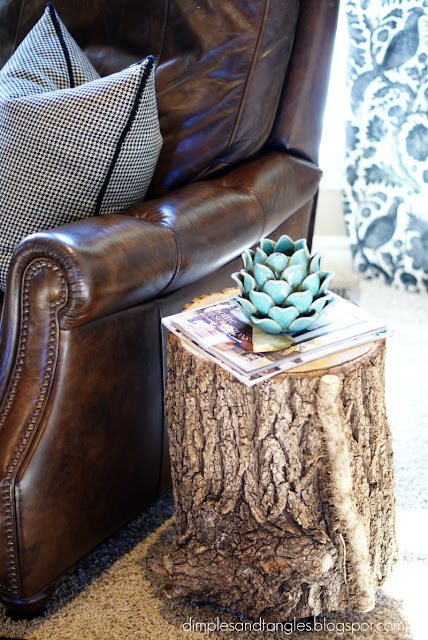 I saw Nester's stump side tables and have been in love ever since! Love the little vines on yours! One was left in my house when I moved in four months ago and everyone said throw it out. But I didn't...and here you can see it...6th photo down. I love it! We have had a few storms this past year or 2 and every time I see a neighbor take down a tree and cut up the trunk I think of the potential and wish I had the tools. These are great pics...and I do need another end table! I have been thinking of doing this with some of the trees we lost in our freak October snow storm. Great idea. But...I can't really tell in your picture what those vines are; the number 1 vine that grows up our trees is poison ivy! UMMM this is purely amazing! I absolutely LOVE this idea. Wow, just look at all of that Stump-spiration. :) I absolutely LOVE natural decor. A few blog friends and I introduced a new challenge idea Monday and it would be so fun if you want to join. If you have a second, check in at http://thespacebetweenblog.wordpress.com/2012/01/09/imagine-the-impossibilities-challenge/ to learn more, and feel free to email me if you have any questions! love this. I have been wanting to do this for a while. I have some of these outdoor with my hammock and lounge chairs - but want to bring some in too. Wow. This South Florida girls actually likes this rustic look! Of course, I'd have to make mine out of palm trees. Haha. This blog makes me realized that there's a lot of function of tree stump. It can be interesting and can be add to your house decor. I'm so amazed with your idea of using old tree log to make it as a furniture in different ways. It becomes more efficient when you decided to put castor wheels in it to make it movable.